Enter your email address for Marshall Crenshaw related news & updates. Legendary US rocker Marshall Crenshaw announces first UK show in 19 years, EP release on Lojinx. Marshall Crenshaw will play a one-off show at the Jazz Cafe on 20th November, his first UK show since 1995. He will release the 5 song "Move Now" the same week on British indie label Lojinx, a taster of a new album expected in 2015. "I'm so pleased about going to London to play on Nov. 20," said Crenshaw. "For one thing, I badly need a change of scene right now, and also, I always love visiting England. I promise that the gig will be outstanding." Released in time for the London show will be a 5-track vinyl "Move Now" EP featuring 2 new songs, a Lovin' Spoonful cover, a live track and something old-but-new from Crenshaw's archives. 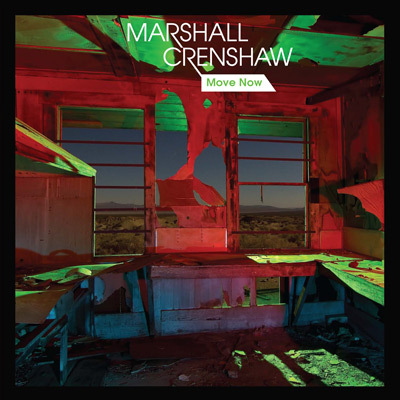 Marshall Crenshaw and his band plays Jazz Cafe, London, on 20th November - tickets: HERE and HERE.The "Move Now" EP will be released on Lojinx on 17th November.